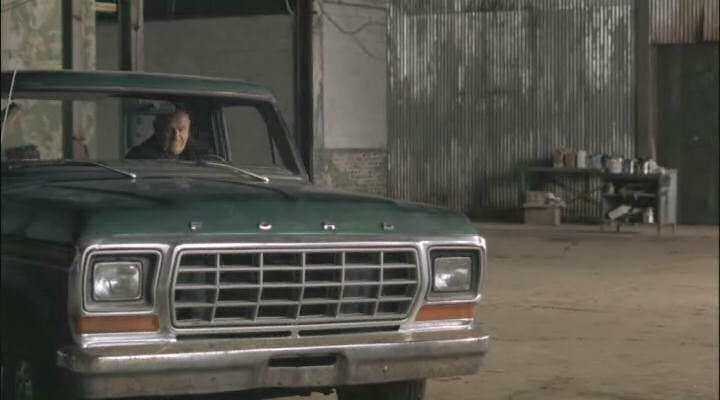 IMCDb.org: 1979 Ford F-Series in "Heist, 2001"
Front hub cap looks 1/2 ton...F100 or 150. Why 350? Looks more like 1978 model year, can't tell if the headlight trim is flat black is faded or not.